After the great success in the wine analysis sector in the past years, is finally arrived CDR WineLab® , renewed version of WineLab, the analysis system for wine and must used in the everyday work of many wineries, oenologists. On the 2nd of December CDR officially presented the new analysis system WineLab Touch in Bordeaux during Vinitech-Sifel one of the most important international event for wine specialists. Its innovative characteristics caught the attention of french and international visitors. Oenologists and winemakers in particular appreciated the following features of the system: simplicity of use, reliability of the results, multitasking mode, that allows to perform more than one analysis at the same time, the possibility to use the system and to perform the analyses directly in the winery, where wine is stored or made. The new elements implemented in the system were very appreciated too, for example: the color touchscreen display, the “step by step” guide that leads through the analysis process or the new design. 1. Malolactic Fermentation. WineLab Touch already allows to analyze L-malic acid and L-lactic separately. Moreover the analyzer allows to obtain, in only one analysis determination, the results of these two parameters at a time, so that you can have in just one moment the necessary data for the monitoring of the malolactic fermentation in wine. This possibility constitutes the new test of “malolactic fermentation”. 2. Gluconic acid. The analysis is useful to determine the health status of grapes and must right after the grape harvest. This analysis is always useful, though it is particularly useful during difficult vintages, when cold and bad weather intervene in state, times and methods of the harvest. It is just the case of the 2014 grape harvest. 3. Copper. The test measures values form 0,05 mg/l to a 1 mg/l through an extremely simple and optimized analysis method. 4. Catechins. The new test of catechins consists in the determination of a paramater particularly useful in the production of white wines. 5. Intensity and Tonality. The analysis, before performed with another analysis system developed on purpose by CDR, is now possible with the WineLab Touch. You can perform the test on white wines and red wines of all kinds, very colored and intense as well. The WineLab Touch’s list of analyses has grown and new analyses can be added after a proper study and optimization of the analytical methods. The CDR R&D continuosly works on the implementation of the existing methods. For example, the alcohol content: the determination of this parameter recently has been made very effective. The alcohol content test with WineLab Touch now reaches a tolerance of measurement of +/- 0,1 % v / v and can determine values up to 20 % v / v as well. Therefore the repeatability of results is higher and the analysis is now possible for sweet wines and liqueurs. WineLab Touch can analyze the parameters above and many other parameters for wine and must, like total acidity, acetic acid, sulfur dioxide, toyal polyohenols and other analytical parameters. You can see the complete list of analyses here. 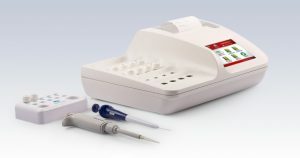 The configuration od the analyses of the instrument can be customized and the possible updating of new methods go after the updating of the new analyses, making the procedure easy and immediate. Compact and handy. It can be easily placed in the wine cellar and in the production plants, where it can be used during the different phases of the production with wine as is and must as is without any treatment of samples. Fast, because it can determine a result in a few minutes and the determinations are made of quick simple steps. The multitasking mode allows to manage the determination of many different paramaters at a time. Reliable and simple to use. Anyone can use WineLab Touch, without the support of specialized and technical staff and without laboratory facilities. Analysis methods are much less complex than the traditional ones and guarantee the same accuracy in results. Moreover it is available on the instrument a “step by step” guide just in case of doubts about the analysis procedure. The new CDR WineLab was presented last December in Bordeaux, at Vinitech-Sifel, where it caught the attention of a large number of insiders and professionals, winemakers and winery managers. After the great success in Bordeaux the new CDR WineLab® is ready for the international market. Waiting for further demonstrations and exhibitions you can find more information about the wine analyses with CDR WineLab® here. The new CDR WineLab® the analyser of wine and must is arrived was last modified: May 22nd, 2017 by CDR s.r.l.